At the Rail Freight Day in Vienna yesterday, nine European rail sector associations (CLECAT, EIM, ERFA, EUG, ESC, RNE, UIP, UIRR, UNIFE), supported by the rail freight corridors, presented their progress in implementing the Sector Statement agreed at the 2016 TEN-T Days in Rotterdam. The projected modal share of 30 per cent for rail freight by 2030, is possible, if railway undertakings and infrastructure managers continue their efforts in innovation and service flexibility, and if authorities play their role in establishing a level playing field across transport modes. During the 2016 TEN-T Days in Rotterdam, the railway sector adopted its Sector Statement, in which it expressed commitment to “boost international rail freight”. It reiterated support of the European Commission’s 2011 White Paper on Transport, aiming for a shift of 30 per cent of road freight over 300 kilometres to other modes, such as rail or waterborne transport, by 2030. In order to achieve this goal, the sector identified 10 priorities. Yesterday, the working groups dedicated to these projects presented what they had achieved in the last two years. There were certainly some success stories shared in Vienna. For example, the ELETA project seems to be on the right track. This project aims to provide estimated time of arrival information for twelve selected intermodal train runs, with the objective to demonstrate the efficiency gained when sharing train run information. The project is initiated by five intermodal operators and is supported by several infrastructure managers and railway undertakings. Additionally, 20 terminals are involved. The terminals will have to sign agreements in order to be able to see and share train information data for the ELETA project’s train runs. About 67 per cent of the terminals have signed these agreements and the project is running on schedule. Another ambitious project is the Re-design of the International Timetabling Process. 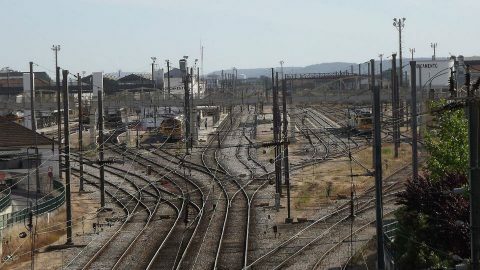 RailNetEurope (RNE) and Forum Train Europe (FTE) are “committed to remedying the unsatisfactory situation where international train operations are difficult to coordinate due to a lack of harmonised timetabling procedures between European countries”. 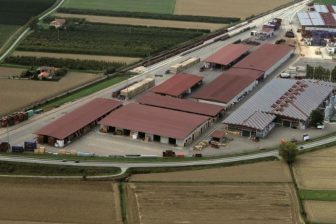 The project, which concerns both freight and passenger traffic, is supported by the European Rail Freight Association (ERFA). While capacity requests can be submitted in 2019, the last phase of a pilot will commence with the timetable of 2020 on three sections of European lines on and around Rail Freight Corridors (North Sea Mediterranean, Scandinavian Mediterranean, Atlantic). After further extensions of the pilot lines and networks, the full rollout of TTR is expected for the timetable period 2025, reported the project managers. More challenging had seemed the task to develop an internet-based, international path request coordination system. Being the only tool available for international path requests and allocation, the Path Coordination System (PCS) marks the first approach to provide harmonised requests and offers in Europe. Although the technical work of the system has been done, the increased quality of the PCS functions also showed the lack of harmonised international processes, the rapporteurs pointed out. During the draft offer period in 2016, RNE, issues arose such as in planning on the borders, like negative border times or wrong locations on the neighbouring sides. Moreover, national particularities make it difficult to develop interoperability. These situations must first be improved. The harmonisation of operational rules at borders is a long and complex task and it sometimes gives the impression of being hopeless, stated the rapporteurs dedicated to this challenging task. 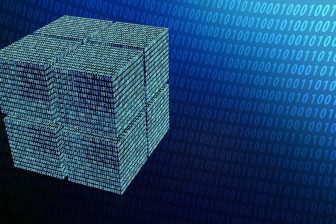 However, they also pointed out that several initiatives have been launched to design pragmatic win-win solutions, sometimes with the help of new technologies. Examples are the revised language programmes or the Issue logbook, etc. “Obviously, this is only the beginning and it might take a couple of years before the initiatives translate into concrete changes”, the report reads. At the same session the Austrian Presidency presented a ‘Political Progress Statement’ as a follow-up to the Ministerial Declaration which had also been agreed at the 2016 TEN-T Days in Rotterdam. In this Statement, which is supported by the EU Member States participating in the rail freight corridors plus Norway and Switzerland, Austria addresses the ten priority actions and welcomes the continuous work by the sector stakeholders, underlining the importance of further coordination and monitoring of the process. 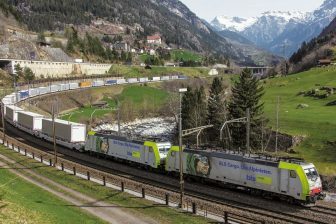 Clemens Först, CEO of Rail Cargo Group (RCG) presented the vision ‘30 by 2030, a strategy to boost the projected modal shift developed by the Rail Freight Forward coalition, made up of a number of European rail freight operators. 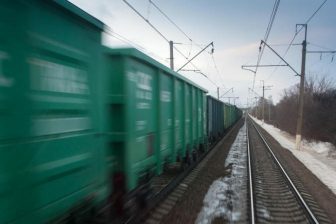 According to the vision, a modal share of 30 per cent for rail freight may be achieved by 2030 if railway undertakings and infrastructure managers continue their efforts in innovation and service flexibility, and if authorities play their role in establishing a level playing field across modes that allows the transport sector to take full advantage of rail’s environmental benefits. 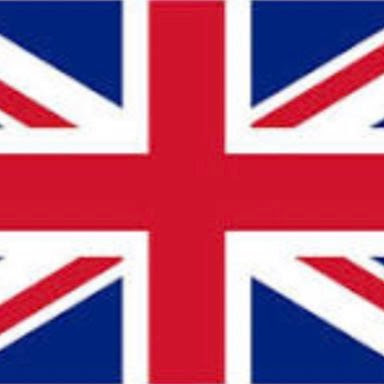 What have we achieved in the UK as regards freight!!! Zilch is the answer!Cancelled projects to improve freight thats all we have done.The Soham-Ely doubling of track,electrification in the north of England to name a couple.I am suprised they actually started work on the Werrington Junction underpass!I thought that would be canncelled or deffered !